Hybrid PMS polymer technology. Combined building adhesive and sealant, bonds and seals virtually everything to anything. Water resistant, can be applied to wet surfaces. 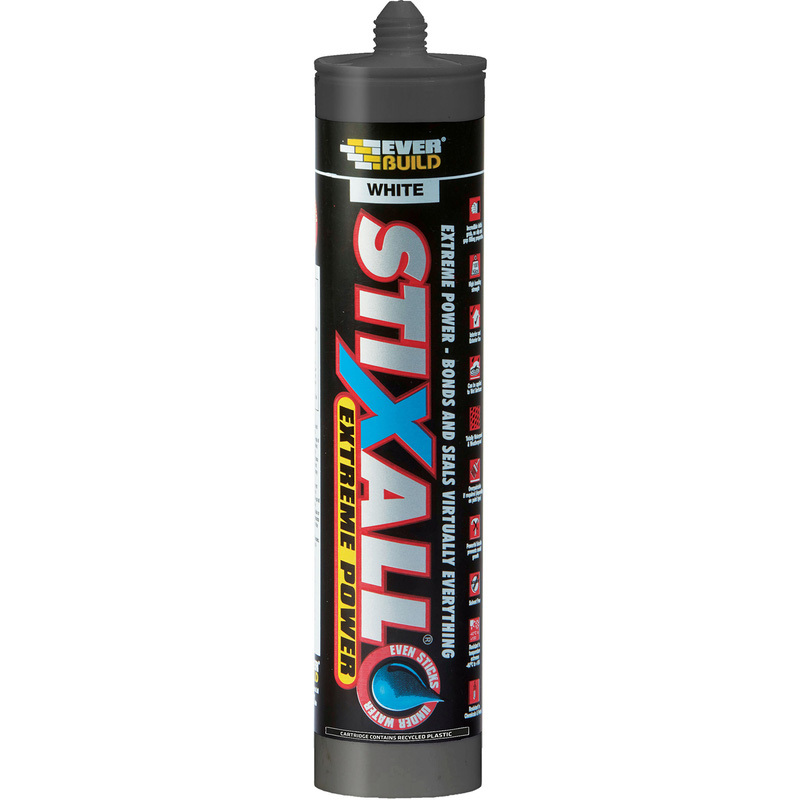 Stixall Adhesive & Sealant 290ml White is rated 4.7 out of 5 by 102. Rated 5 out of 5 by Smiffy 55 from Excellent stuff! Used it to stick chromed plastic hand shower holder to tiled wall (rather than drill tile and screw). Just needed taping in place whilst stixall cured. 12 months down the line still firmly in place. Rated 5 out of 5 by Master of some from Excellent product Never failed me yet, also, good value. Rated 4 out of 5 by SubDub from Good product Bought to fix and seal roof light to Campervan as Sikaflex not available locally. Did the job, time will tell if it’s as good. Rated 3 out of 5 by cod25 from expiry date? havent used yet but concerned by reviewers who say check expiry as seems to go hard/difficult to squeeze through gun quickly poss related to how new/old, but this one from TS had impossible to read date, dont know whether good or bad, new or not so new! Rated 5 out of 5 by Super Bob from Fantastick ! This stuff is Brilliant I use it everywhere from broken perspex guarding to worn engine mountings. My toolbox isn't complete without a tube!